Shortly after Route 27, we’ll approach Route 27A. 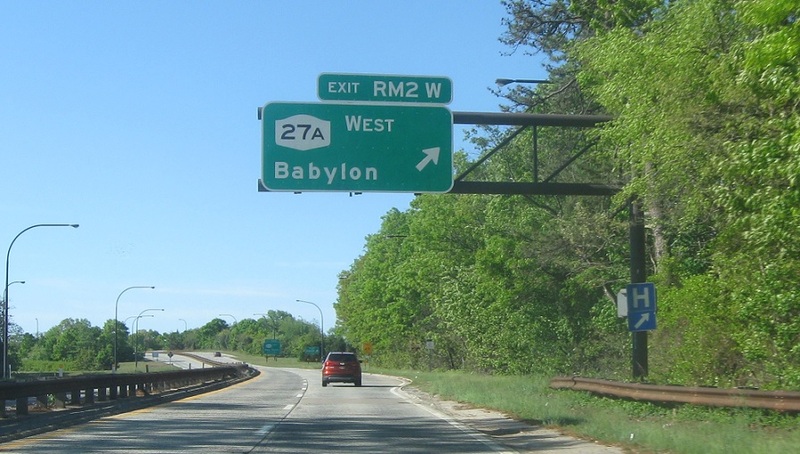 Follow 27A west into Babylon. 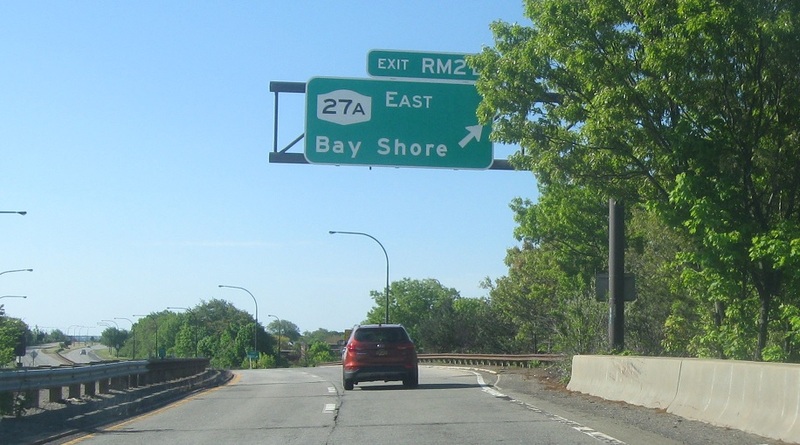 27A east heads to Bay Shore. 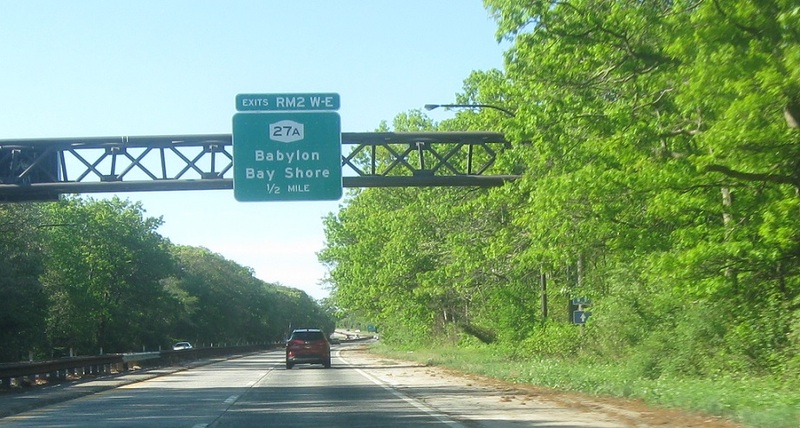 Exit for 27A east as we prepare to head over the actual Robert Moses Causeway.